Please join me in welcoming this outstanding team: interim Marshall University President Gary White, new Marshall University President Jerry Gilbert, WVU President E. Gordon Gee, and Tom Clarke and Ken McCoy of the Virginia Conservation Legacy Fund. Tom and his team at VCLF also are helping us develop new and innovative ideas to include in the state’s Clean Power Plan submission. While the DEP continues to work on a feasibility study, we anticipate our final plan may include ideas such as reforestation and the replacement of boilers to increase power plant efficiency. By way of background, readers will remember that the VCLF worked to buy parts of Patriot Coal — including the Hobet 21 operation — out of bankruptcy, with a promise that they would reclaim the sites with, among other things, huge projects to plant trees. Far more unclear, though, is what happens to the need for massive and incredibly expensive treatment to clean up water pollution caused by decades of strip-mining at the site (see here, here and here). It’s also worth noting that mountaintop removal sites were supposed to be developed years ago, with plans for that development being part of the permitting process. 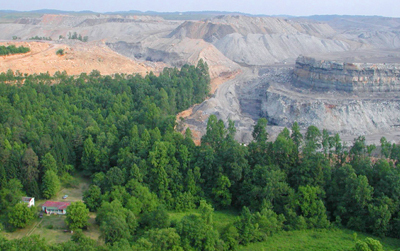 Federal and state regulators allowed the mining industry to avoid that requirement, and — despite many, many promises to coalfield residents — most of these mountaintop removal sites were never developed. When pursuing large-scale projects, our talented team at the Development Office consistently runs into one major obstacle – a lack of flat land. Redeveloped surface mine lands offer endless opportunities for residential, commercial and industrial development and in many cases all three. As part of our federal grant application, we have identified at least five sites in each of Boone, Lincoln, Logan, Mingo, McDowell and Wyoming counties, which are all strong candidates for similar redevelopment efforts. 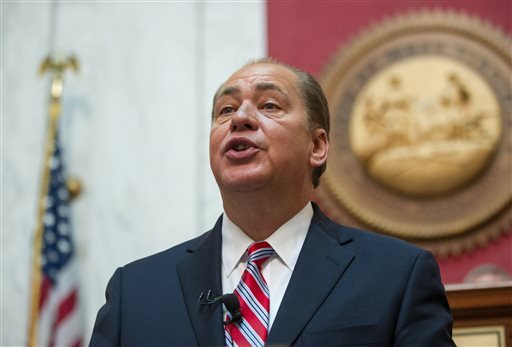 Much like the country owes West Virginia for our contributions over the years, we – as West Virginians – owe the people who call this region home the opportunity to do better for themselves and their families. For years, taxes on the coal mined from our southern coalfields and the timber taken from our mountain sides have paid for our children’s schools, the roads our residents drive on and the services on which so many West Virginians rely. It’s time we reinvest in these communities and give these families every opportunity to make a good living in the places they have called home for generations. Tonight, I hope you will join me in making that commitment for the betterment of our state and our people.